Taraji P. Henson headlined the CNN Heroes event Sunday in an eye-catching plum-colored dress with a plunging neckline. The Empire star looked stunning in the knee-length number with short sleeves and slightly padded shoulders. She completed the look with black strappy heels and a sleek bob. Also on hand was former Sopranos star Edie Falco. The New York-based actress opted for an off-the-shoulder black dress that had three-quarter sleeves with bell cuffs. Falco added black tights and black shoes and wore her short blonde hair styled back from her face. The Blacklist actress Megan Boone opted for a pretty negligee-style gown in shiny satin with lace trim. 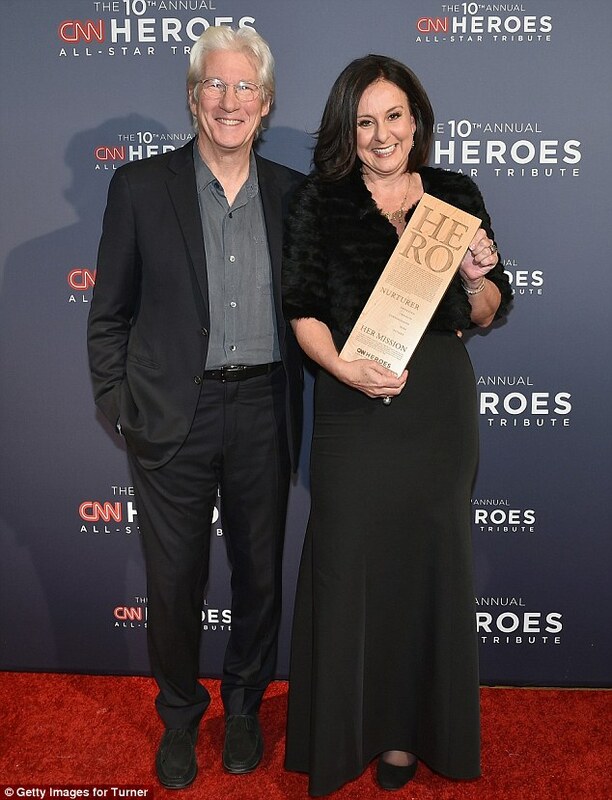 The cleavage-baring number showed off her cleavage and the charcoal gown pooled around her feet as she posed for photos. Meanwhile, Olympic gymnast and DWTS champion Laurie Hernandez was a standout in bright red. The sleeveless, high-necked dress clung to her curves and she paired i with black slingbacks. 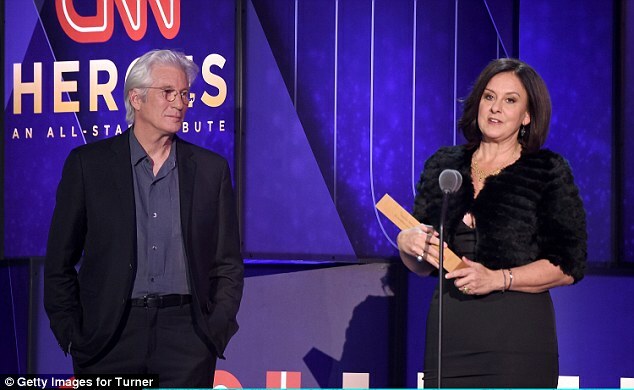 Actress Diane Lane, in a sparkly silver dress, had a special date for the night - her daughter Eleanor Lambert. The 22-year-old, whose father is actor Christopher Lambert, wore a blue denim mini skirt with a black top and black tights with black ankle boots. 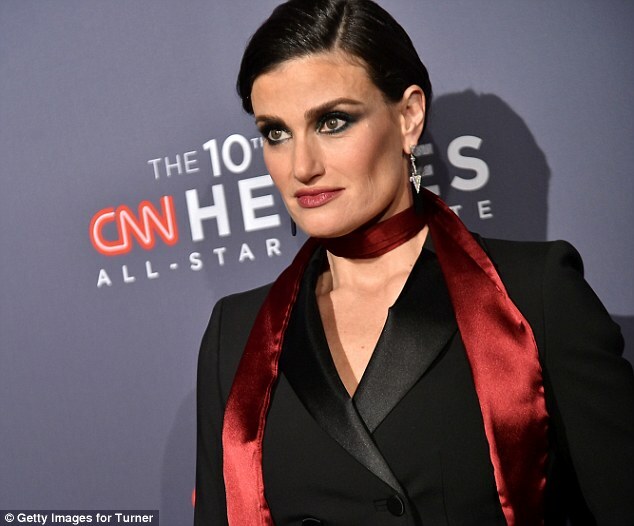 Idina Menzel, who performed during the evening, rocked a black pantsuit with a long red silky scarf tied around her neck. 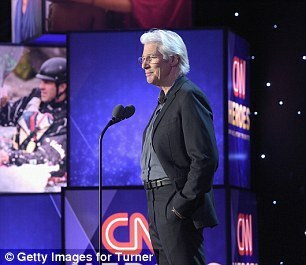 Hosting the event held at New York's American Museum of Natural History were CNN's Anderson Cooper and Live! 's Kelly Ripa. Cooper, who's been rumored to be in the running to become Ripa's permanent Live! co-host following the departure of Michael Strahan, held hands with he blonde tv personality as they walked the red carpet. 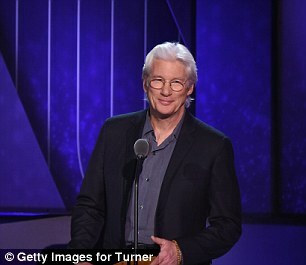 The white-haired anchor wore a bespoke dark blue suit with a white shirt and electric blue tie. Ripa was dressed in a below-the-knee dress that was covered in colorful shiny dots. It had long sleeves and a crew neck and added midnight blue pointed-toe pumps. 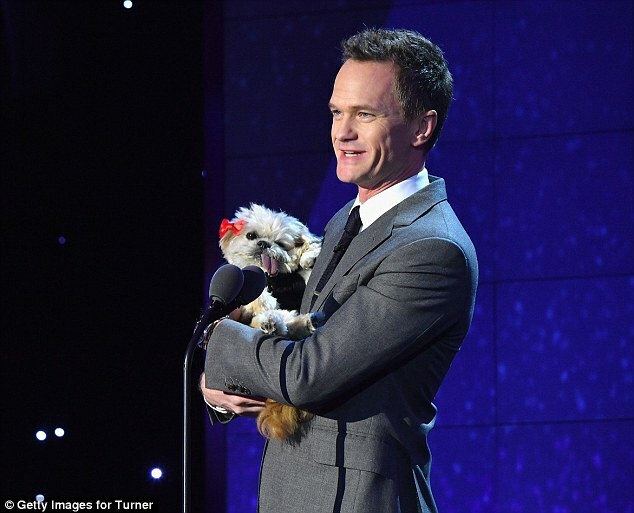 Also on hand was Neil Patrick Harris who appeared on stage with a canine pal.